Expenses will be made regardless of the pathway you choose. Make sure to do your research and see what's available. Financial aid can be especially a big help in paying for college. Apply for financial aid from a variety of sources in order to get as much assistance as you are eligible to receive. Financial Aid is an annual process, and applications must be filed every year. Grants and Scholarships: Gift aid that does not have to be repaid, and may include federal grants, scholarships from the Commonwealth of Massachusetts, institutional aid based on merit or financial need, and local scholarships. Work-Study: Federal and institutional work-study programs allow students to work part-time on or near campus while in college. Parent and Student Loans: Loans are available for parents and students and may come from the federal government or private lenders (including some colleges and universities). For further information about financial aid, please visit MEFA's website. Massachusetts Educational Financing Authority is a non-profit organization that serves students and families in Massachusetts and out-of-state students and families pursuing higher education in Massachusetts. Add some information about the schools you're considering to the Consumer Financial Protection Bureau's website to see the financial impact down the road. If you don't have a financial aid offer, we'll show you where to find cost info for each school. You can compare up to three schools. The CSS Profile is an online application that collects information used by certain colleges and scholarship programs to award institutional aid funds. For a list of colleges that require the CSS Profile click on the following link: CSS Profile College List. Dreamer's Roadmap is a national non-profit app that helps undocumented students find scholarships to go to college. All federal funds are awarded based on the FAFSA (Free Application for Federal Student Aid). Students should complete their FAFSA as soon as it becomes available for the entering college year (typically Fall of senior year). Site designed to assist in understanding the types of aid, who gets aid, FAFSA and loan repayment. Scholarships broken down by various categories including brand, state, major, etc. Don't forget Naviance has an entire section on scholarships, including a list of all the local scholarships available to students (check Scholarship List under the College tab). In order to apply for federal funds, males 18 and under must register with the Selective Service. It is one of the questions on the FAFSA application. 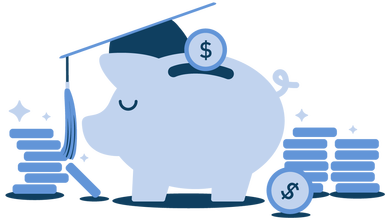 Site designed as a result of the partnership between Attorney General's Office and uAspire to help educate families about higher education options and understand how to pay for them.